A Florida appeals court has overturned its own earlier decision that would have permitted slot machines at a Gretna, Fla., facility previously licensed as a “pari-mutuel” barrel racing track. According to Dara Kam, writing for the News Service of Florida, the ruling by the First District Court of Appeal “sent ripples throughout the state's pari-mutuel industry” because it means the addition of slot machines at licensed pari-mutuel facilities outside of Broward and Miami-Dade counties will require legislative approval. The three-member court earlier this year, in a 2-1 decision, ruled in favor of Gretna, which won approval for slots in a local referendum. But one of the judges in that case since retired and the Florida attorney general asked for a rehearing of the matter. The new judge, appointed by Gov. Rick Scott, ruled against Gretna. In both rulings, the appeals court sought an opinion from Florida's Supreme Court. 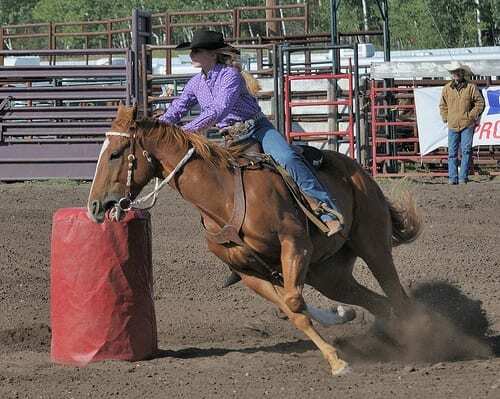 This entry was posted in The Biz and tagged barrel racing, florida barrel racing, gov. rick scott, Gretna racing, Oxford Downs, pari-mutuel barrel racing by Paulick Report Staff. Bookmark the permalink.